FORMER U.S.S.R. - CIRCA 1941-1945: The Second World War. WWII. 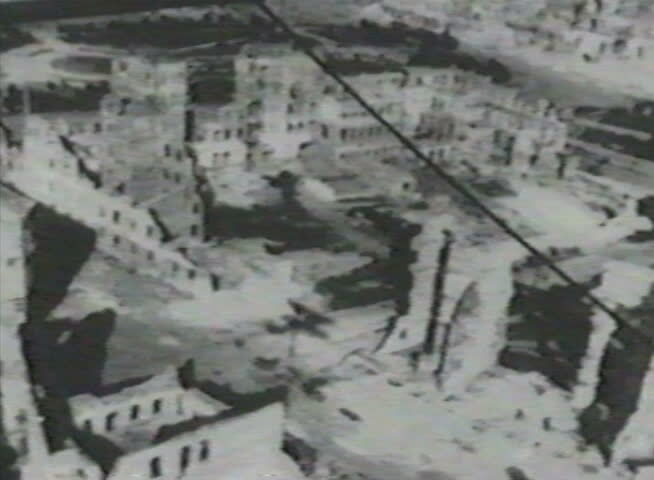 Destroyed by bombing the city. View from the airplane. Military chronicle. hd00:17Retro, 8mm look glowing lights background. hd00:55CIRCA 1969 - Hurricane Camille hits Louisiana and Mississippi in 1969.
hd00:28Bleached eu city urban background top view. Faded bokeh blurred pattern of old Europe buildings roofs panoramic view. hd00:36Close up dishsoap water dropping on a mirror surface in slow motion.